It may not sound macho, but the world needs men who will love in ways that bring positive change to everything they touch. The Power of a Loving Man affirms masculinity as part of being made in God’s image, and bravely embraces and applies the teachings found in I Corinthians 13:4-8, helping men learn to love as God intended. As a result, families, friendships, marriages, and more can be greatly strengthened forever. 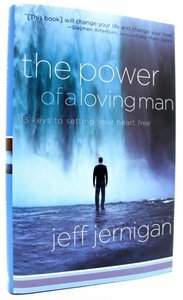 About "The Power of a Loving Man"